Not feeling a thrill of excitement when you think of putting up holiday decorations? There are no rules demanding that your halls be decked, but before you get rid of the wreaths and cranberry clusters, read a few hints on how to make your holiday decorating an easier and more agreeable process. Try some less standard colors of the season, like silver and white. You can also opt for frosted ornaments rather than shiny ones in colors that appeal to you. If you still want to incorporate red and green, try making at least one of the colors darker. A cranberry red or forest green are two great color options. Try to avoid going overboard, and let simplicity be your guide when putting up decorations. Repetition can be very effective - the same wreath hung on each window, the same candle lining the mantle and tables, and other repititions can make for very attractive decor. Choose an overall theme for your home or at least for each room so that all your decorations tie in for a cohesive feel. Try wrapping empty boxes with leftover paper and ribbons for display, which will look festive and cost you next to nothing. Instead of buying new holiday decorations, grab some ribbons and bows and place them on what you already have – throw pillows, photo frames, vases, candles, lamp shades, stacks of books, etc. Decorate your windows - or even your Christmas tree - with the thoughtful holiday cards you receive from friends and family. Go for a nature walk and gather pinecones that you can spray paint and roll in glitter for attractive and affordable holiday displays, from centerpieces to wreaths to vases. You can find plenty of pinecones in Clifton Park this time of year! Ask friends or family to pass any ornaments or decorations they are tired of on to you this year. Oftentimes, one person's trash is another's treasure! 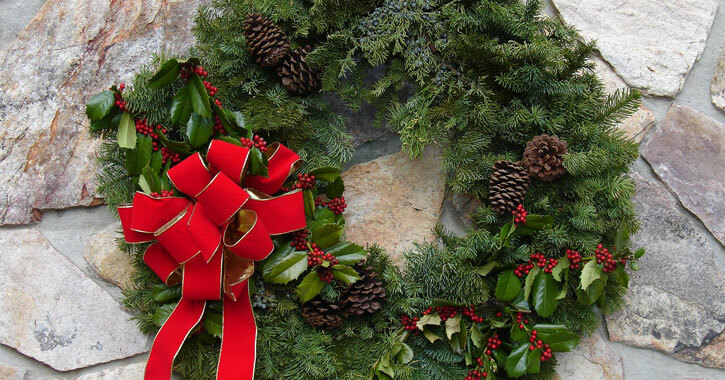 Try a few of these tips and rediscover how fun and festive holiday decorating can be!